Looking for an oasis of craft beers and great vibes? These breweries found throughout the state are the perfect watering holes to head to after a long day in the Florida heat. 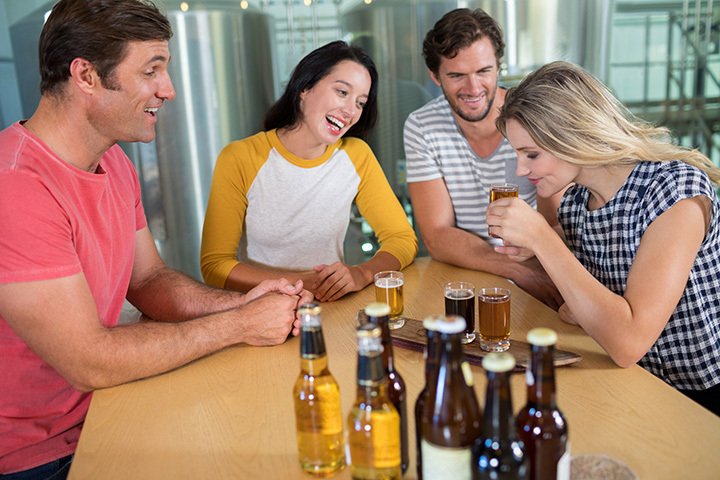 At each of these great breweries, you’ll find original and flavorsome brews to enjoy with friends or family! Located in the historic downtown Winter Garden area in Central Florida, Crooked Can represented a laid back yet purposeful brand of craft beer. Their six high quality brews each have a unique taste that will impress any kind of beer connoisseur. Enjoy a cold one while snacking on something delicious from the artisan market they are connected too. This bold craft brewery on the East coast of Florida has been a favorite since it opened its doors in the summer of 2013. Known as South Florida’s largest microbrewery, this spot is where you’ll find brewery tours, bar food and of course, a large selections of craft beers on tap. The partners who own this brewery decided to create the kinds of brews they would personally enjoy, and it turns out Orlando locals love them too! Orlando Brewing only uses organic ingredients, setting them apart from most other mainstream brew houses. With 24 taps to choose from, anyone can find the perfect beer for themselves! Cigar City Brewing uses unique ingredients to create some of the tastiest beers in the state! This is a great place to share a cold one with experienced beer drinkers or newbies. Rent one of their two private rooms for a party or celebration. The Fermentorium room is actually an area inside a real production brewery! If you’re around Coral Springs and need a little buzz, check out Big Bear Brewing! For over 19 years this brewery has been serving fizzy beers and flavorful foods to their loyal customers and travelers. Try one of their samplers to get a little taste of everything this spot has to offer. Before Fort Myers Brewing Company opened this city was without a local brewery for residents and tourists to enjoy. This brew house is known to be a gathering placed for everyone and anyone, providing superior service and a variety of delicious beers. Head over on a Thursday to enjoy a few cold ones and sampling the food at one of their Food Truck Rallies! Intracoastal Brewing is one of our favorite spots on the East Coast. With a rotating menu of delicious and original brews, you’ll never be bored by their selection. Bring your growlers to bring some of your favorite beer home! The ambience of this gorgeous, renovated 1920s icehouse will put you in the perfect mood to sample some of their delightful brews. This is a great spot to relax alone or unwind and meet new friends. Dunedin Brewery handcrafts their beers in small batches—15 barrels at a time to be exact! Their most popular brew is the apricot peach ale and is enjoyed by all kinds of beer lovers in the Tampa Bay area. Take a tour for a low price to receive a souvenir cup and samples! Found in Saint Pete, 3 Daughters serves some of our favorite cider. This spot is named after the owner’s three daughters. Their apple and key lime ciders are perfect for those who prefer their beers to be a little sweet. View more Florida Breweries and Brew Pubs.